Tripurasura was the son of Gritsmada whose story is associated with the legend of Sri Varada Vinayak Temple at Mahad. The three brothers made great sacrifices to please Lord Brahma. The Lord appeared to them; granted a unique boon which made them alive till all of them were killed with a single arrow. To avoid this; brothers used to live in separate palace forts located in three different worlds. Once in three years the brothers, along with their palace forts, used to get together. If they were not killed during this meeting, they shall survive for another thousand years. Armed with this unique boon, the brothers terrorized the world. The Devas approached Lord Shiva for help. Initially even Lord Shiva failed to tame the Tripurasura. At that time, the cosmic sage Narada appeared before Lord Shiva. He advised to invoke Lord Ganesh before the next fight with the demons. Lord Shiva did the same; with the help of Lord Ganesh he created a bow, an arrow and a chariot. From that chariot Lord Shiva shot an arrow of fire which destroyed the three forts and killed three brothers at one shot. Thereafter, Lord Shiva requested Lord Ganesh to take abode on earth to bless the humanity. Lord Ganesh chose Ranjangaon as his seat. 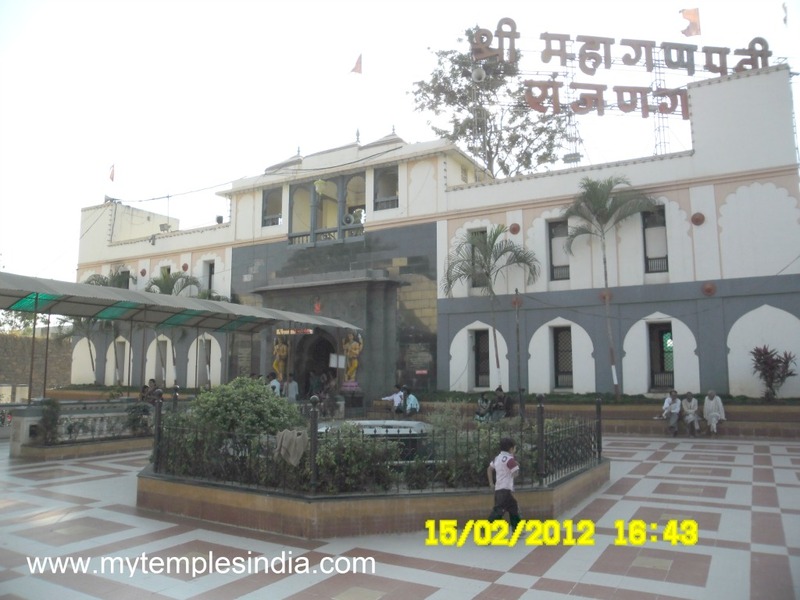 This Ashtavinayak Hindu temple is 150 kilometers from Pune.